To track NPS for a specific segment of customers (ie. brand or relationship NPS), AskNicely can sync with a scheduled custom report and either survey all customers in that group or a fixed number on a daily basis. This is particularly useful if you want to survey all customers, say, four times a year. Or, perhaps base surveys on particular points in a customer journey, e.g. 30 days after joining, then every six months going forward. The report must use the Tabular format, not Summary. Step #1: On AskNicely's Salesforce integration page, select the Reports tab. Step #2: Select your report from the dropdown and click Add Report. 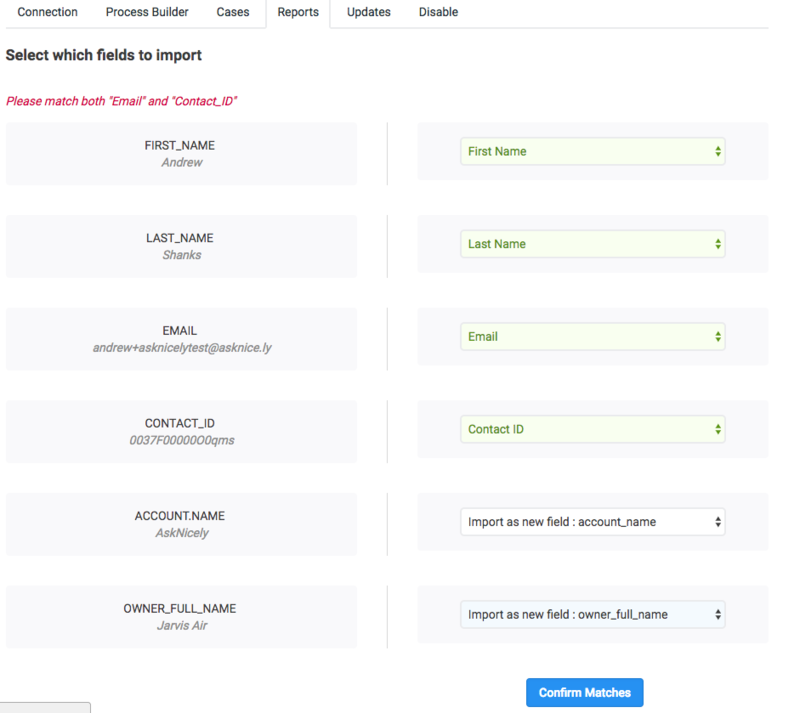 Step #3: Choose which report fields should be imported to which AskNicely fields, then click Confirm. You can also configure whether surveys should be immediately triggered (on a per-report basis) and what time of day all reports are synced. Learn more about that here.